Happy Saturday everyone! Hope you are all into the swing of things in the new year! I am doing a quick series on here on how to decant items around the house. 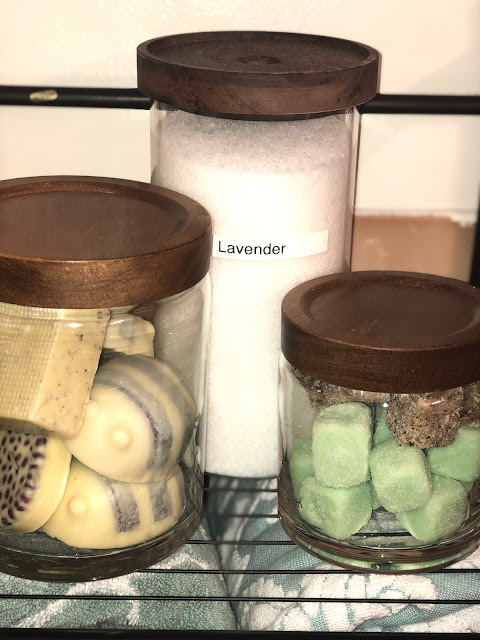 I personally like to store bathroom and kitchen items in different types of jars and containers and I thought I'd share it here. I think that the whole purpose of decanting is to take things that come in packaging and find another home for them, which creates some cohesion and style in your space. I really like using different kinds of glass jars versus plastic containers. I think glass looks prettier, doesn't stain as much and can be reused for different things. Any who, check out my pics below and let me know what you think! There will be 2 more posts in this series, so stay tuned. As always, thanks for reading and supporting me - I hope to inspire you to make things a bit more organized in your home, regardless of the size. 5. Regardless of the size of your bathroom and whether you own or rent, you can create a spa-like, functional space with some simple organization. 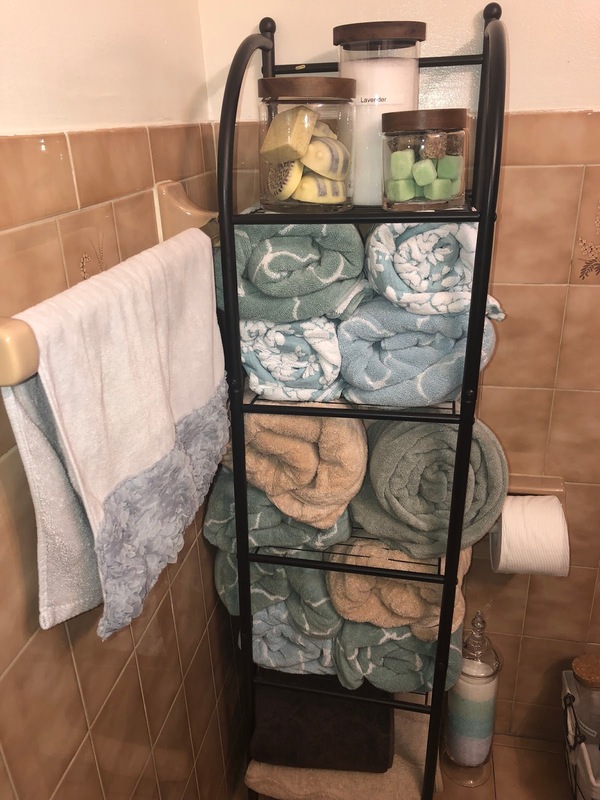 Since we don't have a linen closet in this apartment, I created a space to keep our towels and some shower essentials. I love that the glass jars are on display, but also functional storage. The glass jar on the floor has different epsom salts for foot baths. I found all 3 of these jars at Target! Two of them are from the same collection and the third one is different. 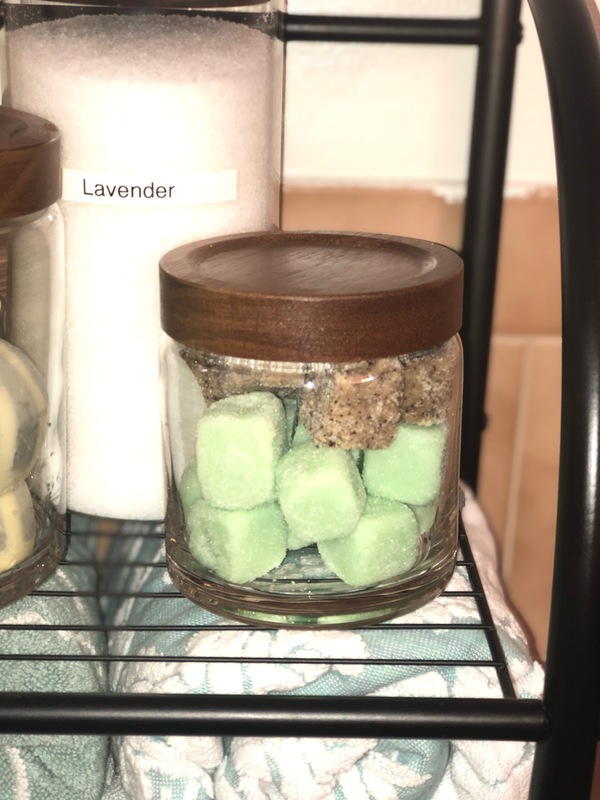 I have epsom salt, body scrub cubes and LUSH scrubbies in these jars. I love these little jars! 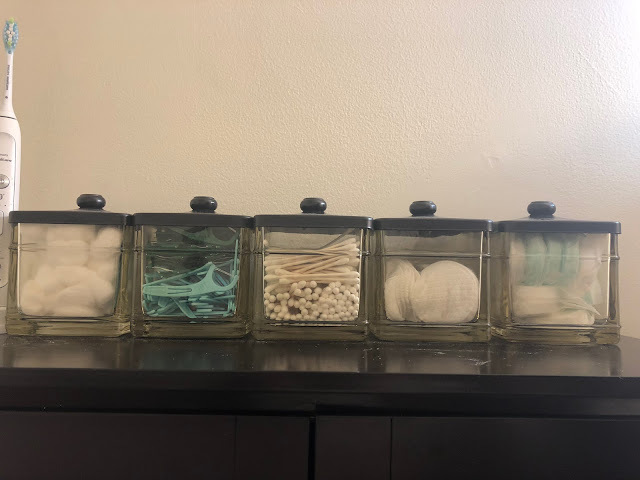 They are perfect for storing qtips, cotton balls, cotton pads, dental floss picks and some shower steamer tabs. When things are running low, I am able to notice and replace. I prefer to have things in nice jars instead of the original packaging - I hate all those plastic bags they come in. I found these bottom scrub cubes at Ulta - they smell and look divine. Storing them in a jar makes grabbing one as I hop into the shower super easy. I love this set by Crate and Barrel!